SHAH ALAM (Feb 11): Hard objects were hurled at a Fire Rescue Tender (FRT) vehicle which arrived to put out a car fire near the Seafield Sri Maha Mariamman Temple in USJ 25 (pictured), Subang Jaya, in November last year, causing the windscreen to shatter, an inquest heard today. Subang Jaya Traffic Enforcement head DSP Mohamad Nasir Drahman told the inquest into the death of firefighter Muhammad Adib Mohd Kassim that many people surrounded the vehicle and hurled hard objects at it. “The FRT vehicle in front was surrounded by people and was hurled with stones. The vehicle later reversed and knocked into an Emergency Medical Rescue Service (EMRS) van before moving forward and reversing until it went out of my view,” the first witness of the inquest said when replying to a question from DPP Hamdan Hamzah. The inquest is before Judge Rofiah Mohamad who is sitting as the coroner. Mohamad Nasir said there were about 3,000 to 5,000 people in the vicinity of the temple at that time. Muhammad Adib, 24, who was a member of the EMRS of the Subang Jaya Fire & Rescue Department, was seriously injured after he was believed to have been attacked and beaten up by the rioters in the incident at the temple on Nov 27. He succumbed to his injuries at the National Heart Institute (IJN) on Dec 17. When the inquest proceeding began at 10.24 am, Mohamad Nasir said the truck was attacked by a group of men for 10 to 15 seconds before it left the location. He said he was about 80 to 100 metres from the incident location. Mohamad Nasir said police saw the fire engine was attacked and not the firefighter was beaten or injured as alleged by some quarters. He also said after the attack, the people later headed towards the office of the developer, One City located about 500 metres from the temple. 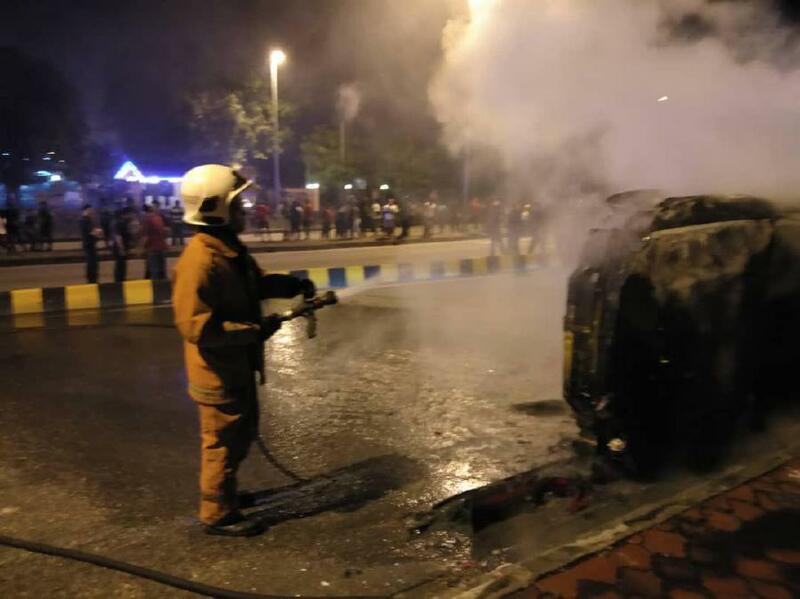 Meanwhile, another witness, Md Eliza Mohd Noor, the driver of the FRT vehicle from Subang Jaya Fire and Rescue Station said a group of men shouted at the firefighters to go away and not to extinguish a car fire near the temple. He said the development caused the supervisor on duty to tell them to stay inside the truck. He added that upon arrival, firemen saw a group of 50 men moving towards them and telling them not put out the car fire. “In about 5 to 10 seconds, I heard the first strike at the windscreen, followed a hail of objects such as stones and helmets. “I could see two or three people running to left of my vehicle towards the back but I did not know why,” he said. The inquest proceeding was postponed to 2.15 pm.